A beautiful hidding place of a beautiful garden. Well Photographed . Congratulations, Segio. 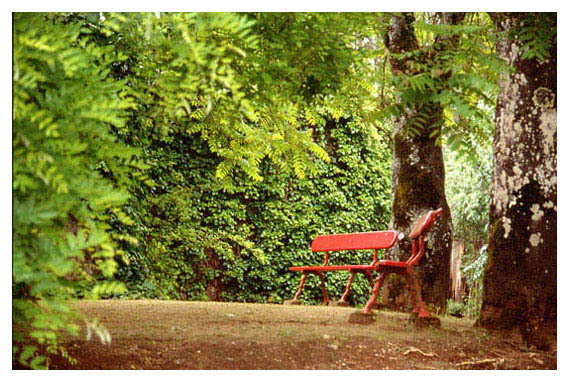 The red benches make a fine contrast with the green foliage. Very fine shot Sergio ! Very nice colors with a good perspective and details. Que mal e que eu lhe fiz?